Jaspreet is currently the Senior Vice President- Digital Transformation, equivalent to the Chief Digital Officer, of the $18bn Mahindra Group of Companies. Jaspreet started his career Tata Group, as a part of the elite Tata Administrative Services (www.tas-tata.com ), and led functions and businesses in FMCG and Telecom. He was part of the team which started up Baazee.com (now EBAY India), as their COO. 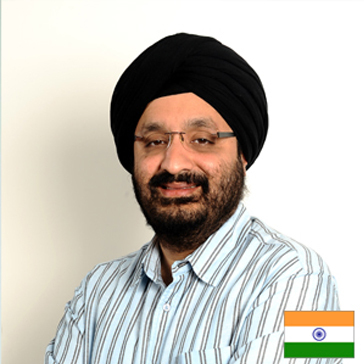 Post that, Jaspreet led the Internet, Retail, XBOX, Consumer P&Ls at Microsoft India. Subsequently, he took over as an entrepreneur-CEO of AskMe, the yellow-pages-publisher-transformed-into-a-mobile-app-led local-search-play. Jaspreet is quite active across the tech start-up ecosystem, and has invested, advised, mentored and incubated many tech start-ups. He built, and now leads, the Chief Digital Officers Forum along with the Internet and Mobile Association of India. He writes extensively on Digital Transformation, Blockchain, Agritech, Platform Business models and AI. He has spoken at multiple industry forums – NASSCOM, IAMAI, TiE, etc. and lectured on/taught Digital disruption and Transformation at, IIMA, IIML, ISB, SP Jain, HBS, Berkeley and USC. A few years ago, Business Today listed him as one of the 'The Top 25 Young Managers in India'. In his current role, Jaspreet has built a high-performing digital transformation organisation, which includes CDOs at various Group companies, built governance mechanisms, helped incubate disruptive corporate startups (e.g. www.trringo.com ; www.smartshift.in , etc. ), and has led digital transformation programs at Auto, Agri, Farm Equipment, Hospitality, Financial Services and Retail sectors. He has also introduced new technologies like Blockchain, AI, AR/VR and built POCs and products around them. Jagdish Ramaswamy is an Electronics Engineer with a post graduate certification in Statistical Quality Control, Operations Research and Reliability from the Indian Statistical Institute. 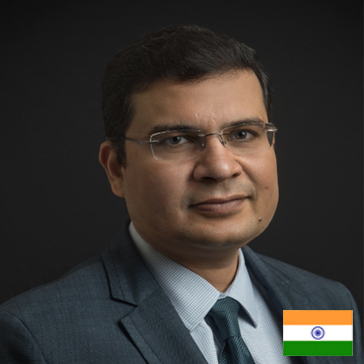 In his current responsibility as Chief Digital Officer and Head of Business Excellence, his team is driving the Digital and IT agenda of Hindalco Industries that includes organizational process digitization, Customer centric digital initiatives and Operational digitization including IoT, Analytics etc. In his earlier role as President of the Corporate Business Excellence group at Aditya Birla Management Corporation Pvt Ltd, his team was guiding the Group on creating factories that follow World Class Manufacturing practices, guiding the businesses on best practice assessments on Business Excellence through Aditya Birla Business Excellence Framework, Six Sigma, Lean and group knowledge Management practices. Prior to Aditya Birla Group, Jagdish served The Akshaya Patra Foundation as its Chief Operating Officer responsible to bring operational efficiencies across 20 kitchens serving hot meals to 1.3 Million school children every day. He spent over nine years in Wipro and in his last role he was the Chief Quality officer responsible for Quality, Knowledge Management, Customer Experience management and Business Excellence initiatives at Wipro. He worked with Motorola for ten years and was responsible in rolling out the Six Sigma program for Motorola Manufacturing operations in India while working with Motorola University and was headed the Asia Strategic Sourcing team for TYCO Healthcare, where his team developed more than 50 suppliers in Asia for various commodities. At the start of his career, he was a Research and Production Engineer with a Telecom design company (Centre for Development of Telematics) engaged in design and development of digital switching systems. A Master Black Belt in Six Sigma and a Malcom Baldrige and CII EFQM certified assessor, he has significantly contributed to Six Sigma, Lean initiatives and excellence initiatives in all the organizations he has worked and has been a speaker in various forums on subjects ranging from Operational excellence, Customer experience management, Six Sigma, Lean etc. On the personal front Jagdish is one of the founding members of Rockfund, an organization engaged in educating girls. Currently there are about a 100 children being educated under this initiative and is deeply interested in Indian classical music. His hobbies include cricket, playing guitar, mouth organ and harmonium. Arnab has over 13 years of experience in Performance Marketing for some of the biggest brands like Y Media Labs, Tesco, Landmark Group, Mothercare, COACH across US, UK, UAE, India and Indonesian markets. He is an Innovative and tenacious leader who excels at creating strategies to win against competition. Demonstrated driver of profitable revenue growth, combining hands-on tactical execution with action-oriented strategic thinking to revitalize existing business, ramp new products and services, and penetrate new markets. 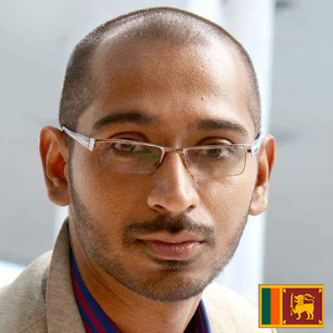 Kalana Meneripitiya, is purpose driven Growth Marketer, who has managed diversified, innovative, integrated communication campaigns for dynamic corporate and Blue Chip companies both, locally and internationally. His expertise in Reputation Management & Digital Marketing, Brand Management, Brand Identity Development and Visual communication, has been a pro factor to his current opulence in the field. Kalana has also been conducting multitudinous training sessions in digital marketing, advertising and designing towards the upliftment of budding professionals who have an interest in stepping in to the world of digital marketing. He is a member of the American Marketing Association and an award winning volunteer for the United Nations, who has fruitfully utilized his immense potential for the development of digital and growth marketing arena. His years of experience in digital marketing which is successfully enriched by proven leadership and creativity allows him to harness his capabilities on solving a wide spectrum of challenges faced in an ever evolving digital world. Darshak is a digital marketing expert with extensive experience in improving traf?c and conversions for businesses online. He co-founded Adunit Media Network, digital marketing and adtech company based in Hyderabad (India) in 2016 and now they have offices in London and Riga (Latvia). 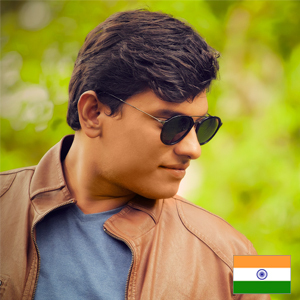 His prior professional experience projects include working with various global and Indian brands including Fortune500's helping them towards Digital Marketing and Adtech solutions. He helps driving efficiency and insights in small to large companies by strategic infusion of technology and business acumen. Darshak and his team constantly take initiatives towards leveraging data to innovate digital experience of a customer and put their strategic framework to help the clients achieve long-term success. Darshak has received great reviews for bringing his strategic and practical insights towards the projects he was involved in various phases for companies like Google, Accenture, Audi, Volkswagen, Taj Hotels etc. Acting on his passion for teaching Darshak is often seen at various B-Schools as a panellist or conducting seminars and workshop on various topics related to digital marketing & ad technologies. Deepan Siddhu heads Digital Strategy, Performance Marketing & Analytics at Webenza, one of the largest independent digital advertising agencies based out of India. He has helped some of the world renowned brands such as Intuit, Manipal Hospitals, Amazon, ThoughtWorks, Texas Instruments, Reliance Trends, DTDC International, Paytm Mall, WNS Global Services, Dell, Tanishq, P&G Wella, ZipDial, Air Asia India among 100+ other brands with their social media, creative, search engine, content, influencer & performance marketing campaigns. 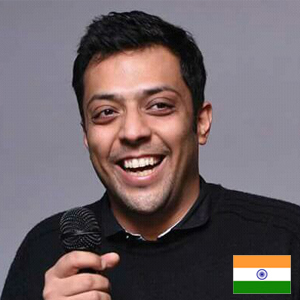 He has been a featured speaker at Industry events like Social Media Week, a featured contributor for publications like Business2Community, Huffington Post, YourStory, Memeburn & one of the youngest recipients to receive the honor at the first edition of Top30Under30 Social Media Professionals from India. 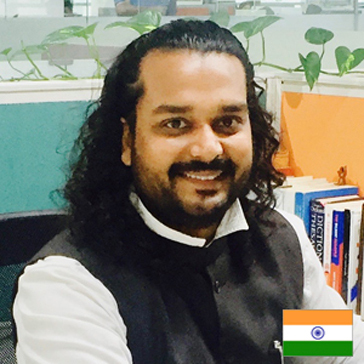 He has an Engineering Degree in Electronics from Anna University and has also authored a best seller on Inbound Marketing. Dr. Dinesh Chandrasekar has over 18 years of progressive Technology & Consulting experience in CRM, MDM and Digital Technologies that encompass Cloud, Analytics, IoT & Artificial Intelligence. After successfully building the CRM, MDM, Cloud & Innovation practice at Hitachi consulting, he moved on to be a part of the Global Solution and Innovation (GSI) Group at Hitachi Consulting. A team that leads the Innovation and development of global solutions and builds them upon niche technologies of Cloud, IoT, Big Data Analytics, and AI. 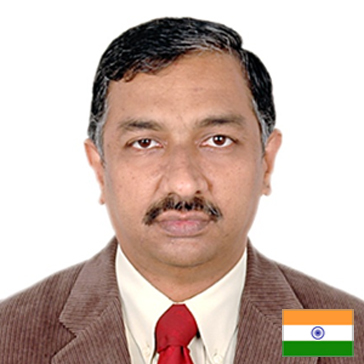 He also has an extensive consulting (CX) experience in BFSI, Consumer goods & Automotive verticals. Prior to Hitachi Consulting, Dinesh worked for GE and Citigroup. Dinesh is an Alumni of ICFAI Business School and avid learner of technology & industry trends. He also holds certificate from MIT on Radical Innovation & Black belt in Innovation from Delphi Group ®. He was also conferred an honorary PhD (Honorius Causa) by the UoS, Kenya for his contribution to IT field in the emerging markets of Middle East, Africa & Asia. Prasad Shejale, Co-founder and CEO of Logicserve Digital, is a lover of all things digital. For him, digital is a huge universe with abundant possibilities of using every tool and platform for the benefit of end customers. An IIT Chennai alumnus, he has been instrumental in growing a small team of the company into a high performing, result-oriented group. 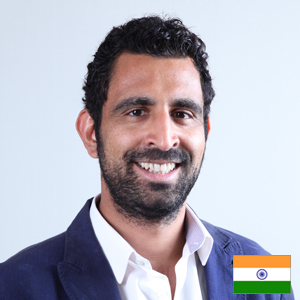 He brings with him a vast experience and exposure to Indian as well as Global digital space. His sound knowledge of the industry and his intuitiveness makes him a go-to person for any solutions and converting ideas into reality. Prasad is an expert in product innovation & management, data modelling & predictive analytics and has been an influential leader in scaling up business ventures. A modern marketing enthusiast and a digital visionary, Shilpa currently leads Microsoft's digital discipline and is architecting the digital experiential strategy. In her rich 18years of digital experience across both client and agency-side businesses, she has led digital transformation journeys for several well-known brands across FMCG, Media, Telecom, Luxury and Technology. 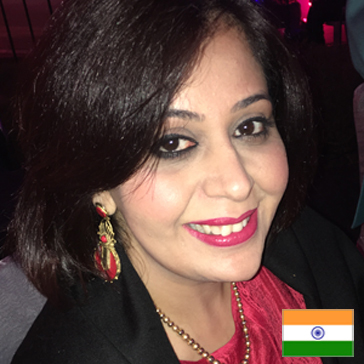 Recognized as India's Greatest Chief Digital Officer for 2016-17 by AsiaOne Magazine and among the Top 50 Most Dynamic Marketers of 2017 by Coins Marketing Summit, Shilpa was featured in LinkedIn's list of Power Profiles for the Internet Industry in 2012. A full stack marketer currently heading digital for an up-and-coming fintech product company based out of San Francisco (competing against the likes of Bloomberg, Alphasense, Capital IQ and Thomson Reuters). My 8+ years in digital marketing have equipped me with skills like B2B Content Marketing, A/B Testing, Conversion Optimization, Growth Marketing, Webinar Production, SaaS Marketing and Demand and Lead Generation and CRM infra setup, among others. I have headed optimization programs for brands in industries as diverse as eCommerce, Travel, Healthcare, Real Estate and Finance. 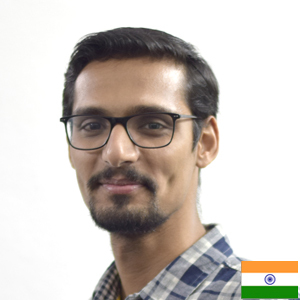 Prashant Puri is the co-founder & CEO of AdLift, a Digital Marketing Solutions company headquartered in SF Bay Area with offices in Gurgaon and Mumbai, India. An alumnus from Columbia University, Prashant is a digital marketing expert having an extensive 13 years of industry experience. With his ability of building websites into multi-million dollar enterprises, he played an instrumental role in setting up the company and taking it to a high growth trajectory. Recently, Prashant has also founded a new venture, Yral (pronounced 'Viral') which is a joint venture between cricketer Yuvraj Singh's YouWeCan and AdLift. Yral is a platform that connects advertisers with celebrities by leveraging their social media network. Prior to founding AdLift, Prashant played the Head of Global Marketing at eBay's comparison-shopping arm - Shopping.com, where he established footprints of the company worldwide. Before that, Prashant's leadership role at Yahoo! revolved around cutting edge technologies that focused on driving synergies between search and display. In 2005, he successfully nurtured A&T Interactive into the second largest local search player by leading their foray into the digital marketing world. 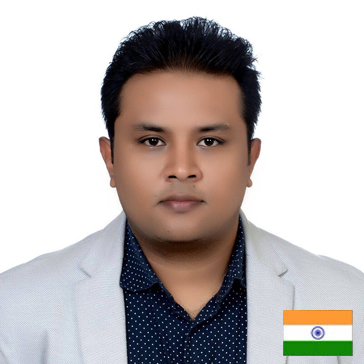 Vetted as an industry expert and veteran, Prashant is being invited to speak at numerous digital marketing conferences and conventions around the world, including SMX, SES and Pubcon; and has contributed to several search marketing journals including Search Engine Journal and Marketing Pilgrim. Today, AdLift is one of the country's top search-marketing firms, focused on delivering digital marketing ROI. To keep company's elevations high, Prashant works closely with a number of Fortune 500 companies including PayPal, eBay, Overstock & Barnes & Noble, helping them increase their search market share. 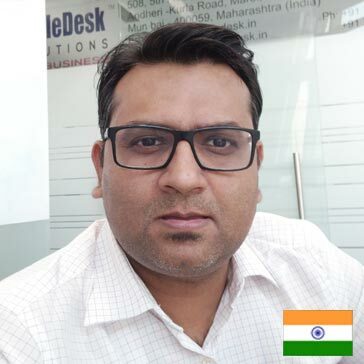 In his current role at Leadbolt, Manish is the Business acumen for Leadbolt , Manish's role encompasses looking after the entire Sales capability along with Publisher and key account management, assisted Operations. Manish's work in recent times has made him emerge as a focused business leader in Mobile space. 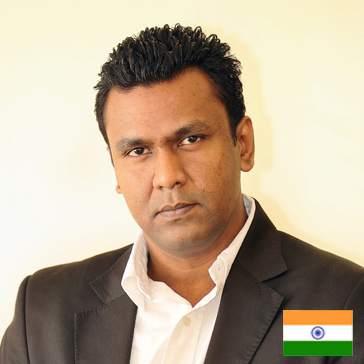 Prior to Leadbolt Manish was working with China based SOHO Group as Strategic Head for South East Asia and India. In his time with IBM, eMTECHPRO, at Leadbolt he has effected radical transformations in the areas he was involved with. He is considered as a turnaround specialist and expert in energy efficiency. 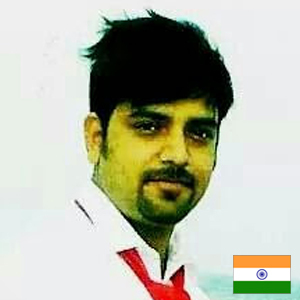 Manish has a keen interest in new business initiatives and has been part of various start-ups. He is passionate about entrepreneurship and shares his work experiences and learning at various institutes like Queens, B.P.U.T etc. Started at the age of 16 and became the youngest CTO at the age of 21, he was also awarded as the Entrepreneur of the Year in 2013 by TIE. Shabir has had a successful track record in various technology and business positions at a CXO level for few years before he became an entrepreneur. He has sold few ventures in the past and his current ventures that he has founded and co-founded are ZengaTV, one of the leading OTT services in India, OneDigital Entertainment Largest, a Digital content company in India, One Axcess.com, a unique self-serve, multi-platform distribution and monetization video ecosystem with over few thousands of content owners, creators and brand advertisers on board, Maverick Media & Technologies Pte Ltd which owns two Crowd funding platforms - Desired Wings and Catapoolt focusing on reward based and equity crowd funding respectively, Rastey a Cab Service, Wyze Bots, a chat bot company, Tag Bin, an experiential marketing company working on AI, VR, AR, 360 and robotics and Leap 10, a startup incubation lab. He has further investments in renewable power and few other industries. He is a successful entrepreneur and a professional with an excellent track record in technology innovation especially in the digital media and convergence technology. In the past, he has been the Head of Asia for a technology innovation company called Picsel Technologies (UK) and Sentac Inc. (USA). He has also been CEO Asia for I-Connect Inc., a U.S. based MNC, an operation comprising more than 9000 employees working out of the Asia Pacific region. Anish Behera has been an agency guy since he was born, having done a MBA in Finance, he interned as a financial broker and was then sure to spend the rest of this life in advertising instead. He has worked across creative, media and digital agency. With this growing interest in everything digital, he has spent the larger part of his career in digital advertising & marketing. In 2010 he brought to life Indias' first "#" embedded 360 communication with DishTV & SRK as the protagonist, across all media touchpoint. In 2011 he conceptualised the strategy for the fastest ever YT video to reach the 1 million milestonee with The Boost Anthem, with Dhanus. Since then he has been contribution for the digital marketing ecosystem to grow leaps and bounds, shifting clients monies more and more to the digital side of business by upping the clients play in content, media, social, search, programmatic and similar. Siddhant Tewari heads digital marketing for ALTBalaji, India's leading OTT platform. 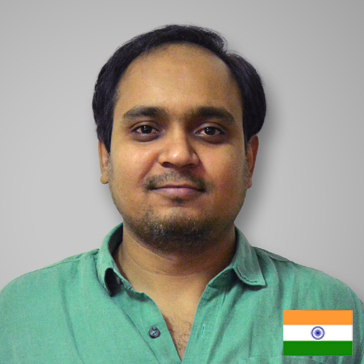 He oversees entire digital marketing strategy for ALT in India as well as International markets. In his previous roles at ASKME.com and Bluestone.com, he had played pivotal role in growth of these organisations. In his 7+ years of core digital marketing experience he has launched and managed brands across geographies on digital media. At ALTBalaji as well, he has been part of launch team that took the app to 140+ countries. Google Play and iOS app store recently declared ALT as one of the most popular apps of 2017. App Annie also announced ALT to be the 3rd highest revenue grossing entertainment app. 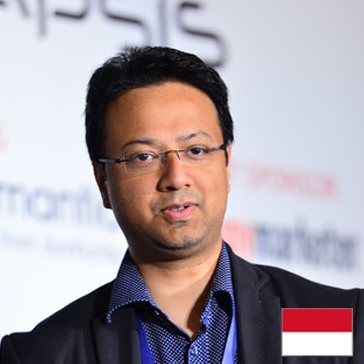 He is curious about latest technological developments and its implementation in marketing and consumer analytics. Apart from work he enjoys solo travelling around the world understanding human behaviour and cultures. Amit Purohit is Head of Digital Business at Aditya Birla SunlifeAMC Limited (formerly known as Birla Sun Life Asset Management Company Limited). In his current role, Amit is responsible for Digital Business which encompasses, Digital Sales & Strategic Alliances, Digital Marketing, Digital Operations and Customer experience and Digital Technologyfor business verticals like Investor, Distributor and Corporates. He has been instrumental in revamping Digital business and has been leading from the front with respect to bringing out many "Industry first" innovations in the Digital space. Amit's career spans over 18 years across varied industries like BFSI, Telecom and Pharma. In past Amit was associated with organizations like Reliance Mutual Fund, Tata Docomo and ICICI Bank for business functions like Product Management, Strategic Sales & Business Development and Marketing. 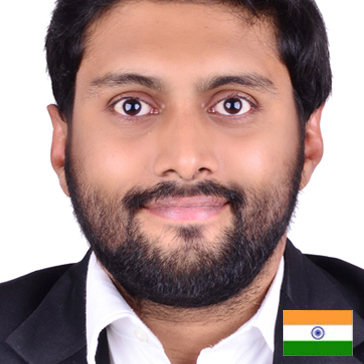 Amit is an MBA from Pune University and is a BMGI certified Green Belt holder in Six Sigma. 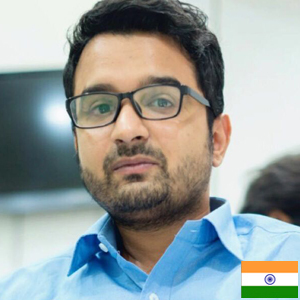 Abhishek Verma is the COO of Freemont Digital, a digital marketing and technology outsourcing company based in Mumbai. 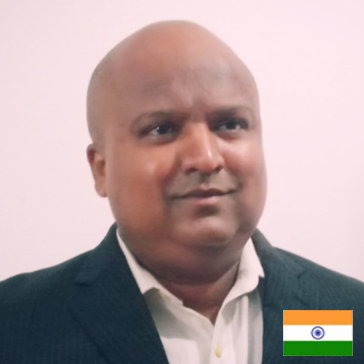 With 17 years of experience, an MBA from SP Jain School of Global Management and an undergraduate degree from New Jersey Institute of Technology, USA, he has extensive experience in Strategic Marketing, Integrated communications, Digital strategy and Branding. He has built and lead design, creative, technology and content teams from scratch, launched new categories and brands and has experience with both VC funded start-ups and large corporates. In the past, he has worked with Star TV as the Marketing head for HD channels and English cluster and a Brand Manager at Discovery Channel. Abhishek started his career in Bangalore in the early days of the dotcom boom, where he worked with Microland, which launched multiple Internet businesses such as Indya.com, Planetasia and ITspace.com. In his free time, he likes to write, act in theatre and spend time with his young son. Ashvin Rao, co-founder of SpeakingLamp Technologies Pvt. Ltd., is a creative digital marketing professional who holds a post-graduate degree in E-Business from Welingkar Insitute of Management. Being in the digital marketing industry for years, he helps various well-known business and innovative startups to boost their visibility on the Internet through a combination of search and social campaigns. He has immense experience in translating business initiatives and marketing strategies into bottom-line results in sales, revenue and client growth. Throughout his career, Ashvin has worked with clients like eBay, Snapdeal, Croma Retail and many other e-commerce giants. Pawan Wankhede is the CEO for Fuel Digital. Fuel Digital is a global digital marketing agency with capabilities of delivering 100% viewable traffic. He has over 15 years of experience in Digital Ad-tech. Presently he is on a mission of creating a unified video content exchange and connected tv platform. Before taking up the assignment with Fuel Digital, he was the Managing Director for Sparc Media for its operations in APAC. Prior to Sparc Media he has also served as a Director of Business Development and Headed the Microsoft Advertising Unit for Lycos Internet, a multimillion-dollar global company, in India. As the Head of the Microsoft Advertising unit, Pawan was responsible for Advertising revenues, monetisation efforts, relationship management, client servicing and profit and loss management. At Lycos, he pioneered new Digital Marketing Strategies using consumer behaviour data. 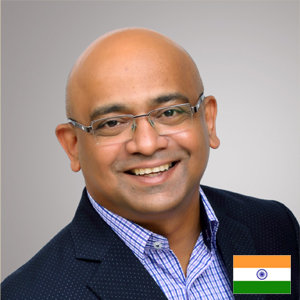 Prior to this role Pawan spearheaded the Network business in India (Display and Mobile Media), responsible for monetization, planning and marketing. An Expert in the domain of Digital Marketing, he helps businesses understand the consumer internet and strategise their Digital marketing plan. 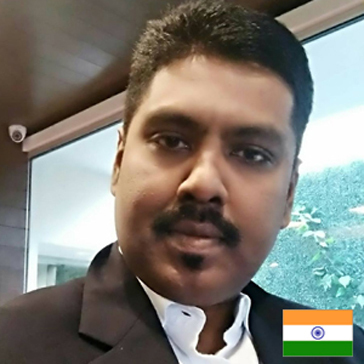 Pawan has also worked on many International assignments like O2 Services in the UK and DLT Ltd throughout Asia, taking care of their business development in European and Asian markets. Specialties: Business Development, Digital Sales, Ad Operations, Email Marketing, Search Marketing, Display Marketing, Affiliate Marketing, Mobile Marketing, Branding and Product Management. Mr. Arindam Biswas leads the Digital Intelligence COE at FedEx India. Mr. Biswas is responsible for driving the digital transformation strategy, innovation and thought leadership to steadily and securely steer FedEx into the rapidly evolving Digital era. Mr. Biswas has 15+ years of rich and diverse experience in the areas of Data Science, Machine Learning, Big Data and Predictive Analytics. In his previous roles, he has been closely associated with multiple Fortune 500 organizations in envisioning innovative and award winning analytics solutions to establish competitive advantage. Mr. Biswas holds a PGDM (MBA) from the Indian Institute of Management, Ahmedabad and Gold Medalist in B.E. (Electrical Engineering) from Indore University. He is passionate about mentoring aspiring Big Data and Data Science practitioners in both academic and professional circles. He is a frequent speaker at analytics conferences and has conducted multiple workshops on analytics in the U.S. and India.